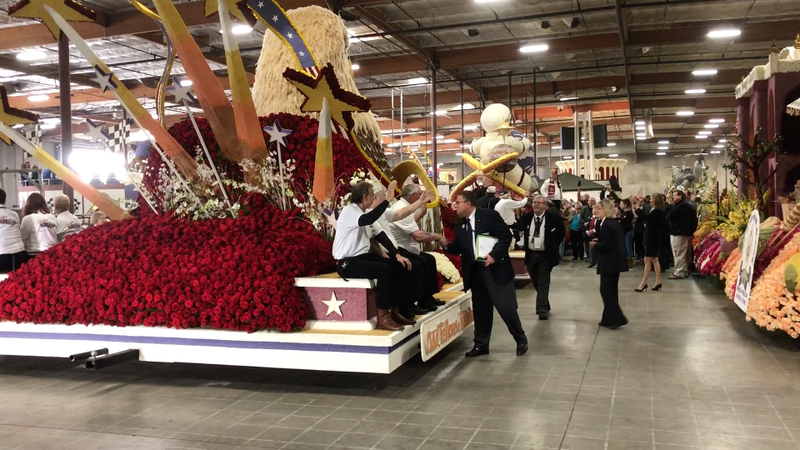 The 2018 Tournament of Roses judging of floats for parade trophies was held the morning of December 31st, 2017 in the new Phoenix Decorating float construction facility in Irwindale CA. Later that day the floats were towed 15 miles to their parade starting position on Orange Grove Blvd. This year our float led the parade in position 4 of 100, preceeded only by the parade naming sponsor (Honda), the U.S. Marine mounted Color Guard, and U.S. Marine Drum and Bugle Corps. This is unedited video.